ProForm Power 1080 treadmill is a full featured exercise system that offers leading-edge performance and numerous advanced features that culminate in a superior fitness solution which is designed to help you get fit fast. Get high-powered performance and undeniable results with the ProForm Power 1080 treadmill. With iFit Live built-in, this treadmill delivers workouts powered by Google Maps, training with Jillian Michaels and automatic speed and incline controls. This wireless technology is the ultimate workout experience! The Power 1080 also features a powerful 3.25 CHP Mach Z Commercial Pro Motor. It’s dynamically spin-balanced and extensively tested for superior performance. Other features include 30 built-in workouts, ProShox Elite 2 Cushioning and QuickSpeed and Quick Incline controls. iFit Live Built-In: Get smarter workouts and faster results with iFit Live. Featuring workouts powered by Google Maps, training with Jillian Michaels and automatic speed and incline controls, this wireless technology is the ultimate workout experience! Now you can customize your own fitness program, receive automatic workout downloads and manage your profile online. 7" Full-Color Touch Screen: Stay in touch with your workout with this new Touch-Screen Display. Navigate through workout stats and options with the swipe of a finger. Quickly view your speed, time, distance, calories burned, pulse and incline on the large, easy-to-read display. 30 Built-In Workouts: Find the perfect workout for you with the 30 built-in workouts. Pick from 20 calorie-burn workouts or 10 all-terrain workouts designed by a Certifies Personal Trainer to get the result you want faster. 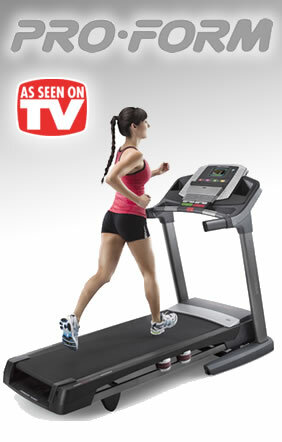 The treadmill automatically adjusts the speed and incline letting you concentrate on working out. Speed, incline and time length of each workout are pre-determined. 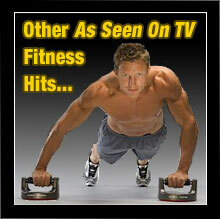 Set-a-Goal Workout Center: Get the results you want faster with the Set-a-Goal workout center. Select your speed, time or distance goals and the treadmill will create a workout for you, letting you focus on success. 3.25 CHP Mach Z Commercial Pro Motor: Like airbags in a car, the Commercial Pro uses preventative engineering to keep you safer, including high-grade wiring and insulation ratings, a thermal cut-off switch and a stringent UL certification process. And, through the use of high-end, commercial bearings and brushes, this motor delivers the longest, most powerful drive possible. The Commercial Pro is also dynamically spin-balanced and extensively tested for superior performance in vibration and noise, making it the smoothest, quietest motor available today. 20" x 60" Commercial-Grade Belt: This heavy-duty, 2-ply commercial-grade treadmill belt is designed to operate quieter than a normal treadbelt just one more vital component of a balanced drive system. 0-12 MPH QuickSpeed: Instead of tediously scrolling through options, QuickSpeed allows you to instantly change the speed of the treadmill between 0–12 MPH with the single touch of a button. Warranty: The ProForm Power 1080 is protected with a Lifetime Motor Warranty, Lifetime Frame Warranty, 5-Year Parts Warranty and 2-Year Labor Warranty. The ProForm Power 1080 treadmill is an exceptional and full-featured exercise solution that is designed to provide you with a vigorous and superior quality workout. The Power 1080 treadmill from ProForm will have you getting fit and dropping those extra pounds before you know it. If you’re serious about getting into shape and staying that way ProForm offers the answer you’ve been looking for. What are you waiting for? 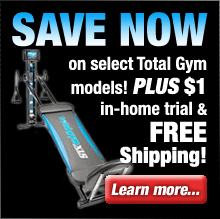 Order a ProForm Power 1080 treadmill and get ready to get into the best shape of your life.